Yesterday I found that both Dance With Me and Fight For Me were available at multiple pirate sites, and Fight alone has been downloaded more than 30,000 times. Oh, I know not all those downloads would’ve been sales, but Fight is $2.99, and I haven’t sold anywhere near that many copies through the legitimate stores where it is available–Amazon, B&N, ARe, Smashwords, Kobo, iBooks– EVERYWHERE, so it’s incredibly perplexing to me. The thing that is most bothersome is that even if 10% of those downloads had been through a legitimate store, that would’ve been about $6,000 in my account. God, I wish I hadn’t done that math just now. As an indie author, that’s not money coming out of a publisher’s pocket, that’s money coming out of my own pocket, money that would be used to support my family, and I know the majority of other authors on all the pirate sites aren’t millionaires either. All of us–traditionally or indie published– have bills to pay and families to feed, and aren’t lounging around on a resort somewhere thinking up our next blockbuster. 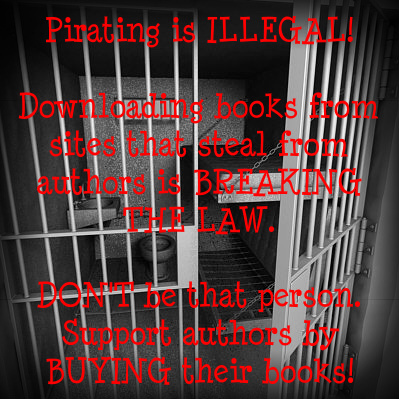 So, before I put my soapbox away, I’d like to point out that most readers wouldn’t dream of pulling a paperback off a shelf and walking out of the store with it, and ebook piracy is the exact same thing. It doesn’t seem so since it’s not a physical item, but stealing is stealing. It just is. Also, just one more thing before I put up my soapbox and get back to writing. Books take a long time to write, and need things like editing, cover art, and other important aspects before publication. For indie authors, that’s all paid upfront by us before we make one cent from the book. Okay, rant over, soapbox put away. Time to get back to writing Live For Me. I’ll be back Wednesday with a snippet!